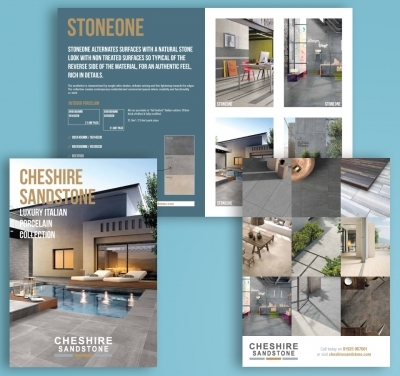 Cheshire Sandstone have added a beautiful range of Italian porcelain to their ever expanding range of products. From supplied text and images I designed and printed this 24 page brochure printed on 300gsm silk for the cover + gloss lamination with 170gsm silk inner pages. 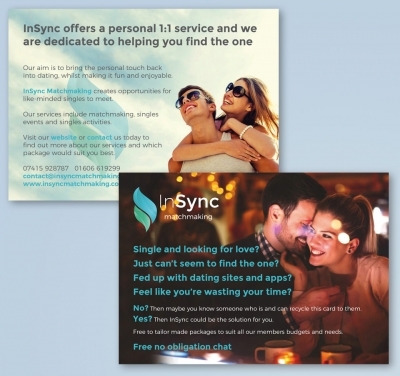 InSync is a new company aiming to bring the fun, enjoyment and romance back into dating. 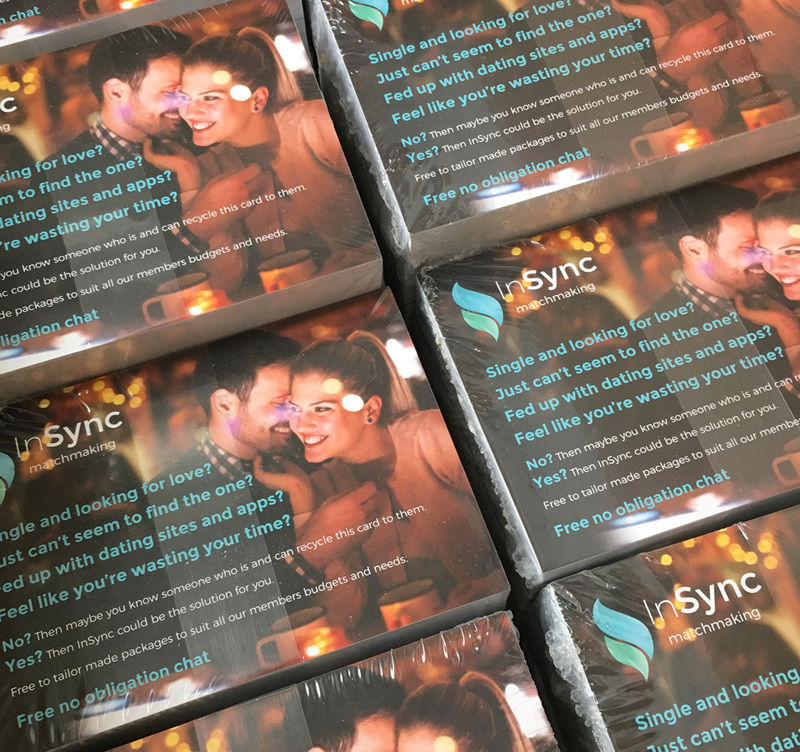 I designed and printed some nice A6 2 sided flyers on 350gsm silk to compliment and work with their website. 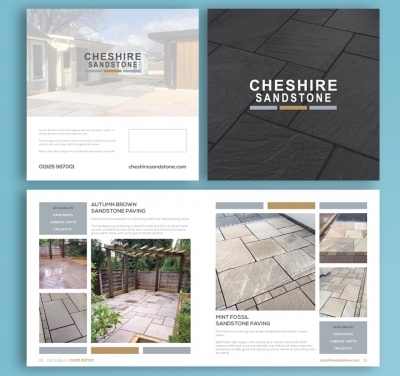 Cheshire Sandstone required a brochure to showcase their beautiful range of paving in a glossy brochure. From supplied text and images I created this design which enabled all the information to fit very well onto each page. The final print run was a 28 page 210x210mm brochure with a 350gsm silk cover + gloss lamination outer with 170gsm silk inner pages. After inheriting pieces of previous artwork from the client I had to keep the grey theme to work with the existing logo for these designs. 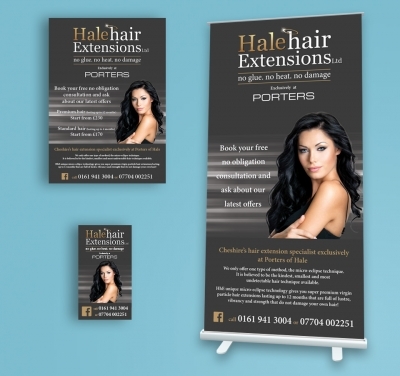 All items are created around the same design for these stickers, an A5 flyer and a 1000x2000mm pullup banner. Taylor Walton contacted me to cleanup of their documentation so that they can portray a more professional image than previous to all existing and potential clients. 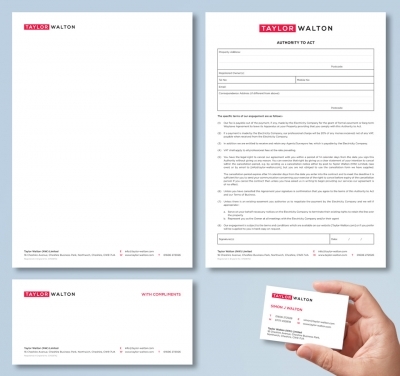 Letterheaded paper, compliment slips and other documentation were litho printed onto a nice smooth 120gsm laser paper, with business cards printed on 400gsm silk with a matt lamination. 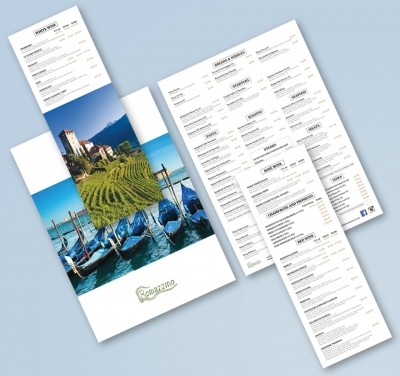 These menus were designed as briefed by the customer and together with their own supplied stunning images of Italy, the whole look and feel of the design is beautiful. These a la carte menus with complimentary wine list are digitally printed on 350gsm silk, with a matt laminated finish. The files were also saved to PDF so that they can be downloaded from their website. Looking Forward Activities are dedicated to providing high quality support for members with learning disabilities aged 16+. 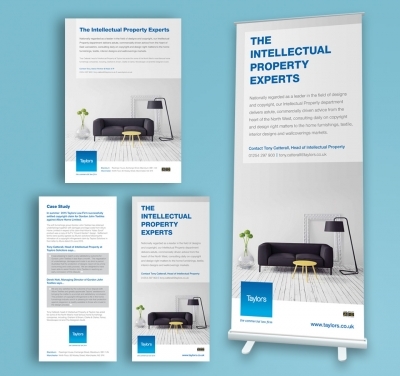 They supplied me with print ready artwork for the flyer to print from and I then went on to rejig the artwork to create and supply an 850mm wide pullup banner. This design was something different to the previous job with a bit more colour added with some angular shapes to break up the text. 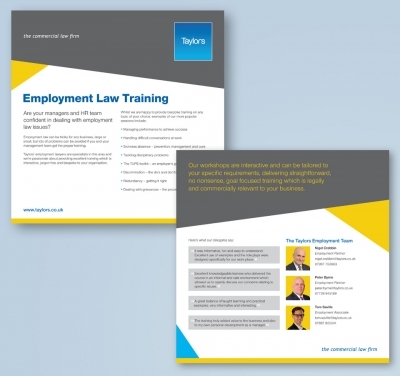 These were digitally printed on 350gsm silk with a matt laminated finish. 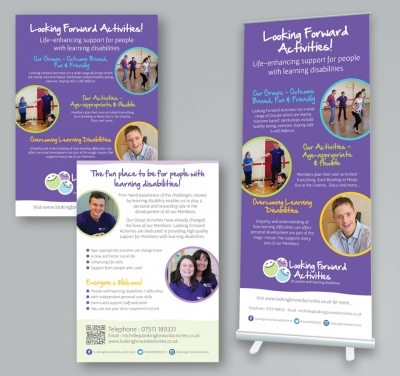 A complimentary leaflet, advert for a magazine and a pullup banner for the event. All was designed and finished to delivery meeting the deadline that was set. 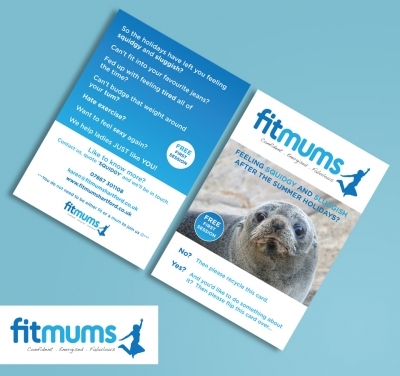 Designed with a purchased stock image of a seal and printed at A6, 2 sided on 300gsm gloss.